Jakelin Caal Maquin's death deserves an "objective, thorough and independent investigation," a lawyer for her family said. The lawyers for the family of the 7-year-old Guatemalan girl who died in the custody of Customs and Border Protection called on Wednesday for a thorough and independent review into the child's death, echoing demands from members of Congress. Jakelin Caal Maquin's death deserves an "objective, thorough and independent investigation," Enrique Moreno, a lawyer for Jakelin's family, said at a news conference at Annunciation House in El Paso, Texas. "The investigation should not be the exclusive purview of the agencies whose actions and policies are being questioned," he said. "The investigator should not be the same entity as the investigated." The attorneys said her death raised questions about the events leading up to it and whether it could have been prevented. The attorneys said they were demanding an investigation outside of the Department of Homeland Security's Office of the Inspector General that would include qualified health care professionals specializing in children. Moreno said the family hasn't decided whether to pursue a legal claim, and would decide if any additional information came forward from an investigation. Jakelin's father, Nery Gilberto Caal Cuz, also said neither he nor his daughter were given water while in custody, according to the attorneys. "What we do know and what our client is unequivocal of is that no water was provided to either him or his daughter," Christopher Benoit, another attorney for the family, said at a news conference. This appears to contradict a statement by the Department of Homeland Security that said the migrants "had access to food, water and restrooms" while being held at the Antelope Wells port of entry in New Mexico this month. Jakelin died in a Texas hospital on Dec. 8, two days after being taken into Border Patrol custody at a remote area at the New Mexico border, DHS said in a statement Friday. Jakelin and her father waited for several hours for a bus to pick them up to take them to a Border Patrol station in Lordsburg, New Mexico, according to DHS. Around 5 a.m, as the group of migrants was preparing to depart, Jakelin’s father said the little girl was sick and vomiting, DHS said. Agents arranged for medical personnel to meet the bus on arrival to Lordsburg, but by the time they arrived 90 minutes later Jakelin’s father notified agents that she was not breathing, DHS said. "At this point her temperature was 105.9 degrees," the DHS said. "Agents providing medical care revived the child twice." Jakelin was flown by helicopter and arrived at a children’s hospital in El Paso, Texas, at 8:51 a.m., according to DHS. She was taken to the emergency room and then the pediatric intensive care unit, but died at 12:35 a.m. on Dec. 8, DHS said. 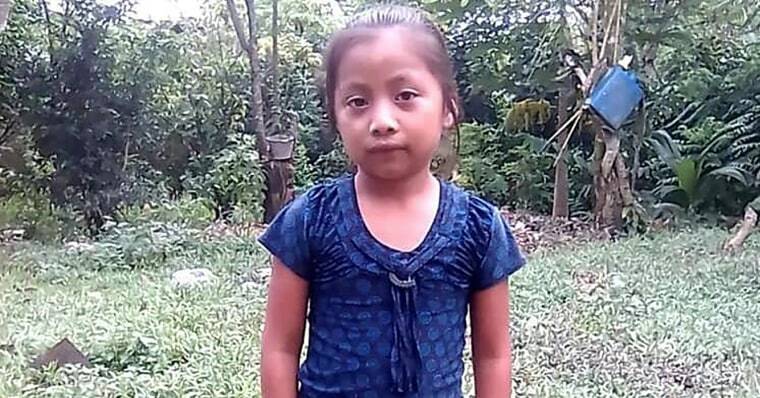 The department said the initial indication from the hospital was that Jakelin died of septic shock. There are no medical personnel permanently assigned to the Antelope Wells Port of Entry or the Bounds Forward Operating Base, where the group was initially taken into custody, according to CBP. There were also no medically-trained personnel at the Bounds Forward Operating Base on the night Jakelin and her father were apprehended, according to CBP. The agency has said that due to the remoteness of the location, transporting Jakelin by bus to the Lordsburg facility once her father reported she was sick was the quickest way to get the child medical help. Hear death has drawn outrage and led to calls for an independent investigation and for the head of CBP to resign. On Tuesday, 12 members of Congress visited border facilities to call attention to and find out more about Jakelin's death. CBP said Wednesday that it will now inform Congress and the media within 24 hours when someone dies in its custody, according to newly published guidelines. The agency's move comes after it faced scrutiny for waiting five days to publicly acknowledge Jakelin's death.